Morning... Today's card I made a few weeks ago as my Craft Stash DT card.... 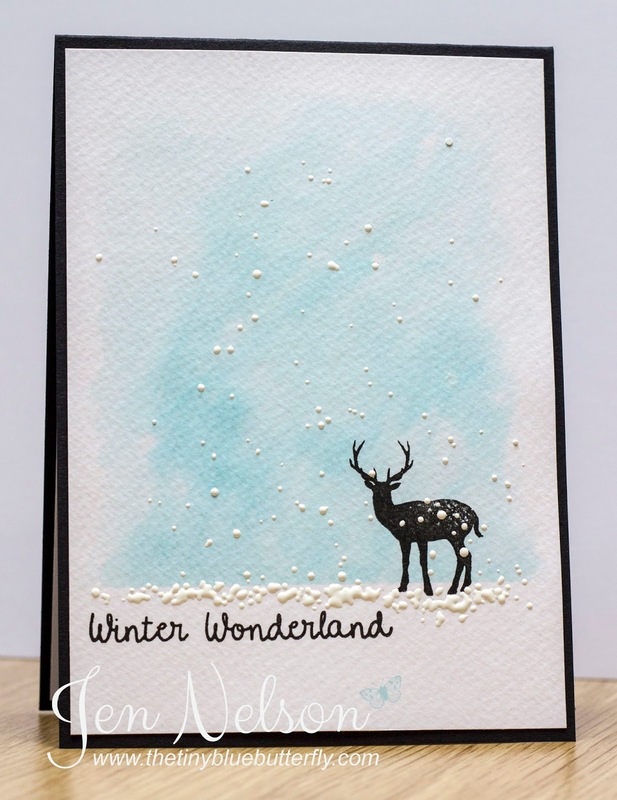 This is the Apple Blossom Winter Wonderland stamp set. I absolutely love the deer silhouettes in the set. For this card I added some tumbled glass distress ink to a wet piece of water colour card. After stamping the image and sentiment I added some chunky embossing powder to create the snowy effect. After spending yesterday cleaning up pretty much the whole house I thought I better catch up on Christmas cards today... think I may need to make a few more like this! 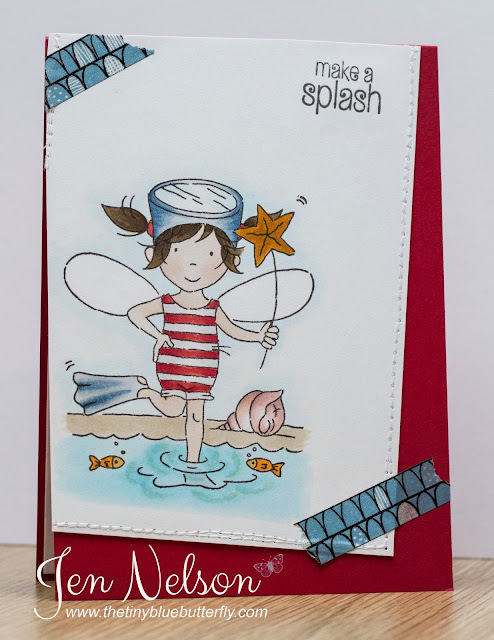 A quick glance through the Stampin Up stamps and I came across Giggle Greetings... Perfect!!! It's simply coloured in with Copics and I used one of the Simon Says stitched dies to cut out the panel. Sorry the photo is so bad... I really need to sort out my set up!! I'm off to the gym then I need to clean the house ready for the Christmas Decorations to go up... Hope you all have a great Saturday! Erm, I'm a little behind in showing you my Lili Of The Valley Design Collective cards.. this one I think is from October! I love this image.. suits me to the ground, it's on the the calendar fairies! Simply coloured in with Copics and a little washi tape (from my huge stash) to go with it! Morning.... I'm up early today as so much to do.. My wandering suitcase returned yesterday morning which changed the days plans slightly and meant a large amount of washing and sorting needed to be done. 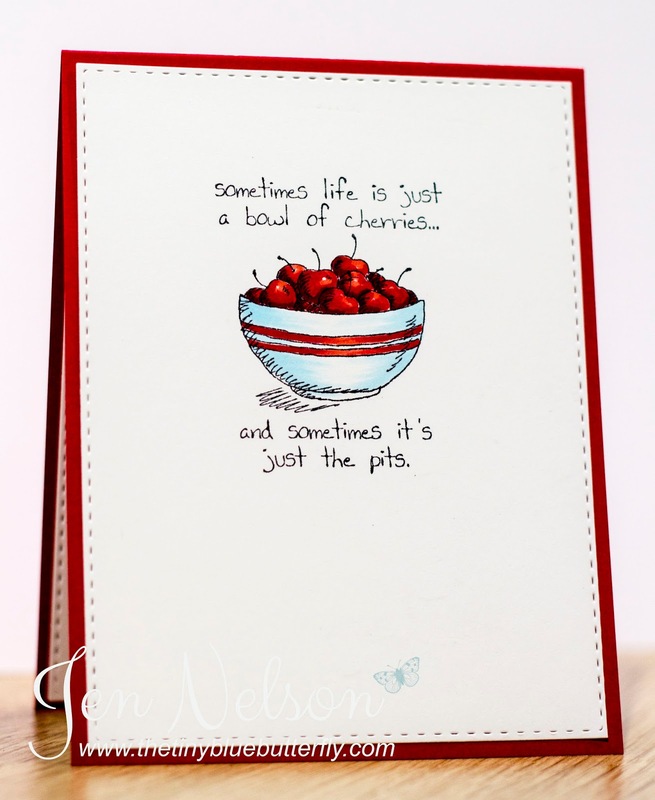 Enough waffling and onto today's card... I have used the Watercolour Wishes Card Kit from Stampin Up. To be honest I bought this set purely because I loved the sentiment stamps in the set that are not available separately, but I decided I had to make some cards using all the other elements. This one uses one of the card blanks where I have trimmed off the back and mounted on a coloured card blank. I think I'll make some more up to give as a gift of note-lets for Christmas. A day of crafting planned for today, I thought I would start with this weeks Less Is More which is use Numbers! 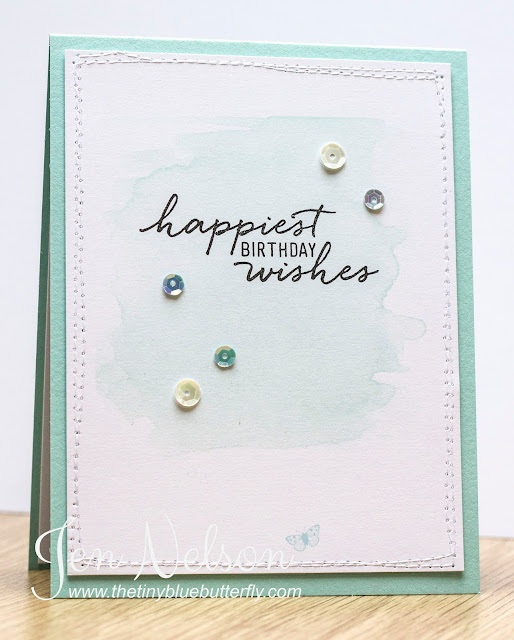 The month stamps from Lili Of The Valley have come in useful for this card and it is simply finished off with a die cut 25 and some doodlebug sequins.